HEMARINA, a French Biotechnology company developing breakthrough innovation for therapeutical applications using marine oxygen carrier, today announced that it has recently entered into a Cooperative Research and Development Agreement (CRADA) with the US Naval Medical Research Center for the use of HEMOxycarrier, the last generation of universal oxygen carrier. The CRADA, titled, Advancing Oxygen Therapeutic Agent development by evaluating the vasoactivity, oxygen carrying capacity, and effectiveness of HEMARINA-M101 (HEMOXYcarrier) in a non-clinical model as a pre-hospital resuscitation fluid for traumatic brain injury, with or without hemorrhagic shock is a three-year study that will test the HEMOXYcarrier on laboratory models. AFFiRiS' Alzheimer's vaccine candidate AD02 showed indicative evidence for potential efficacy in a phase I clinical trial. This was demonstrated by the analysis of the data from secondary clinical study endpoints. AFFiRiS AG previously announced that their Alzheimer vaccine candidate AD02 met the primary endpoints of phase I clinical testing by demonstrating safety and tolerability. 24 subjects were vaccinated, 12 received the vaccine with adjuvant and 12 without. The recently completed analysis from this study of secondary clinical endpoints of AD02 based treatment - regarding cognitive performance of the subjects, body weight development and vaccine induced immune responses - suggests evidence for potential disease modifying activity of this vaccine candidate. 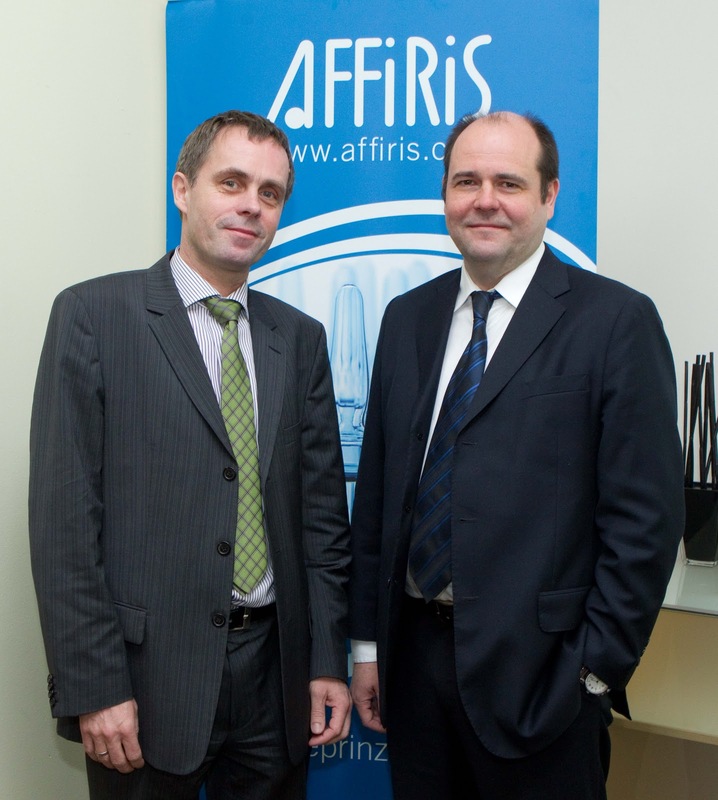 CEO and co-founder of AFFiRiS, Dr. Walter Schmidt, comments: "We really observed some positive results from this phase I trial. Most important was the stabilisation of the cognitive capabilities of 9 out of 12 subjects treated with the adjuvanted AD02 formulation over the complete observation period of 18 months. During the clinical trial all adverse events were mild to moderate in nature, like pain at the injection site and itching." These Phase I results indicated a surprisingly robust and persistent stabilisation of the cognitive functions. The subjects' cognitive decline did not occur as expected from the natural course of disease. Furthermore, a boost vaccination was applied and the positive trend was prolonged. Provepharm, a start-up specialized in the development of pharmaceutical applications, announces today that, following a one-year centralized review procedure, the European Medicines Agency’s Committee for Medicinal Products for Human Use (CMPH) issued a favourable assessment of its methylthioninium chloride Proveblue on 17 February. As a result, the company’s Marketing Authorization Application (MAA) should be approved shortly, opening the way for Provepharm to commercialize the product in the 27 countries of the European Union and the three attached countries (Norway, Iceland and Liechtenstein). The product belongs to the category of antidotes. The French Health Safety Agency Afssaps already granted a Compassionate Use Authorization ('ATU de cohorte' in French) for methylthioninium chloride Proveblue on 22 November 2010, which enabled Provepharm to make the product available to French hospitals. 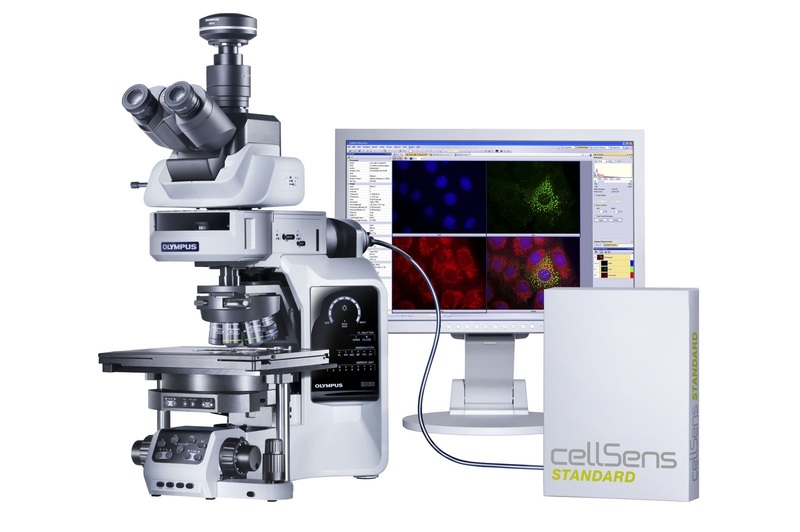 Reinnervate, the life sciences company driving the adoption of routine 3D cell culture, has announced the upcoming US launch of alvetex at the SBS 17th Annual Conference & Exhibition in Orlando, Florida (27-31 March 2011). Alvetex is a proprietary cell culture scaffold that, for the first time, enables genuine 3D cell growth to be performed routinely and cost-effectively in cell biology laboratories. Using alvetex enables researchers to grow cells in a manner that far more closely mimics their growth in vivo than is possible using traditional 2D techniques, greatly improving the accuracy and relevance of in vitro assays. cost. The unique compact cartridge design and integrated microchip technology in the analyzer make it easier to use with greater control andproductivity. Thermo Fisher will showcase the new C2V-200 micro GC gas analyzer within Thermo Scientific distributor booth 3725 during Pittcon 2011, being held March 13-18, in Atlanta. accurately analyzing the calorific value of natural gas, providing reliable results in seconds. Based on proprietary Thermo Scientific micro GC technology, the core of C2V-200 is a unique cartridge, the size of a credit card. It includes an injection system, column and detector in a highly compact, more efficient gas analyzer that reduces maintenance costs and consumes less gas. Exchangeable column cartridges can be easily installed for flexible configuration and ease of use. delivery of new therapies to market faster. Prism Ideas' US office will be a centre of excellence for the provision of consultancy services to optimise clinical drug development programs for the pharmaceutical industry. Over the last few years, Boston has become the centre for pharmaceutical innovation in the US, receiving huge investment from the federal government to focus on life science research. As such, the city is a perfect location for Prism Ideas to strengthen its presence in the industry and increase its client base across North America. All conferences will be supported by a wealth of exhibiting vendors, showcasing the latest technologies and innovations for automated experimental set-ups. Poster presentations will also be available in conjunction with ePosters.net for researchers and vendors alike. Furthermore a total of 181 scientific presentations, 13 training courses, and 5 workshops will be crossing all 10 tracks. Exhibitors and delegates are offered discounts at one of the finest hotels in Hamburg, the Radisson Blu, which is conveniently situated adjacent to the Congress Center Hamburg (CCH). 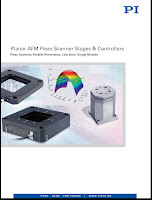 PI (Physik Instrumente) LP, a manufacturer of piezo nanopositioning systems and scanners for microscopy, bio-medical and nanotechnology applications - has released a new catalogue on planar piezo scanners for Atomic Force and Scanning Probe Microscopes. The new catalogue covers a variety of novel closed-loop planar piezo scanners, and controllers with advanced digital features for higher scanning rates, improved linearity and responsiveness. 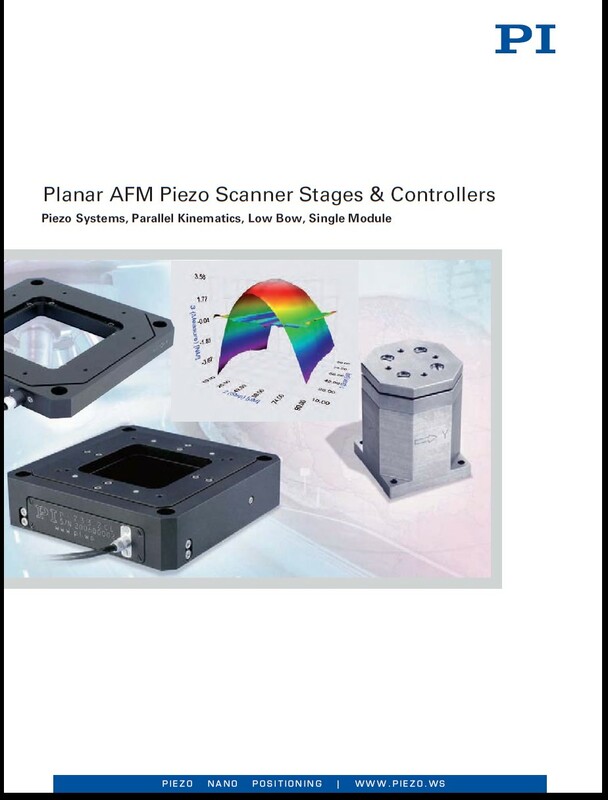 Compared to conventional piezo tube scanners, the low-bow, flexure guided piezo stages are run in closed-loop mode and provide significantly lower out of plane motion (flatness) and better linearity. A special stage designed with a new lead-free piezo material allows resolution down to 20 picometers and less than 1 nanometer hysteresis. Flexure stages with travel ranges to 1800 microns are available and many different configurations from single axis to 6-axis systems are offered. For high stability, pre-positioning, and as a stable basis for the fast piezo scanners, self-locking ultrasonic motor stages with long travel ranges to 200 mm are also available. Sigma Life Science, the biological products and services business of Sigma-Aldrich, has announced the addition of 1,400 new European Collection of Cell Culture (ECACC) cell lines to its collection of cell line cultures and services. These cell lines have been fully authenticated and tested free of mycoplasma and can now be delivered within days to customers in the U.S., Mexico and Canada. ECACC is a recognized worldwide expert in the maintenance, cultivation and distribution of authenticated cell lines. The collection of cell lines can be accessed at www.sigma.com/ecacc. Scientists rely upon these cell lines, which include human, mouse and insect, for cell-based assays that determine the safety and efficacy of drug candidates. Due to high costs and the great amount of time required for research and development, drug developers prefer to use cell-based assays in cell signaling studies, cancer research and other areas in order to correct issues that may arise, as early as possible, in the research cycle. Don Finley, Market Segment Manager of Research Cell Culture at Sigma Life Science, said: “We can now serve the global scientific community with a broader range of more easily available ECACC cell lines. In light of increased interest in cell based research, our plan is to offer an exhaustive collection of high quality cell lines to meet needs of our customers for cell based solutions." 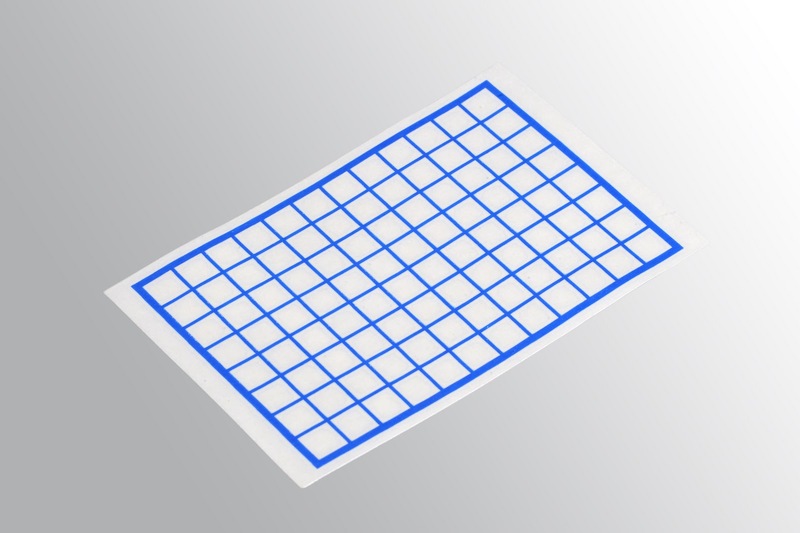 Available from Micronic Europe - the Pattern range of microplate adhesive sealing films has been designed to eliminate clogging and contamination of autosampler needles, maintain high sample integrity and provide the best barrier film for a wide variety of diagnostic and life science sample storage applications. Manufactured using a patented process, that produces a patterned adhesive sealing film, the new range of products are able to provide an adhesive-free polymer seal over each well of the microplate. Using Pattern Adhesive Seals - sample integrity is ensured as the adhesive does not come in contact with the microplate well contents and the film seals securely just to the plates. Using coloured adhesives the application and alignment of Pattern sealing films to microplates is both simple and quick. Pattern adhesive films are available in both 96-well and 384-well microplate formats, several film materials, and different adhesive compositions that provide high solvent (DMSO) and chemical resistance. These superior performance seal films are suitable for many different applications and provide a secure seal to microplates from -80°C to +120°C. Dedicated to the design and production of innovative sample storage solutions over the last 25 years, Micronic is uniquely able to offer laboratories the expert advice to help them safeguard one of its most valuable assets - its samples. 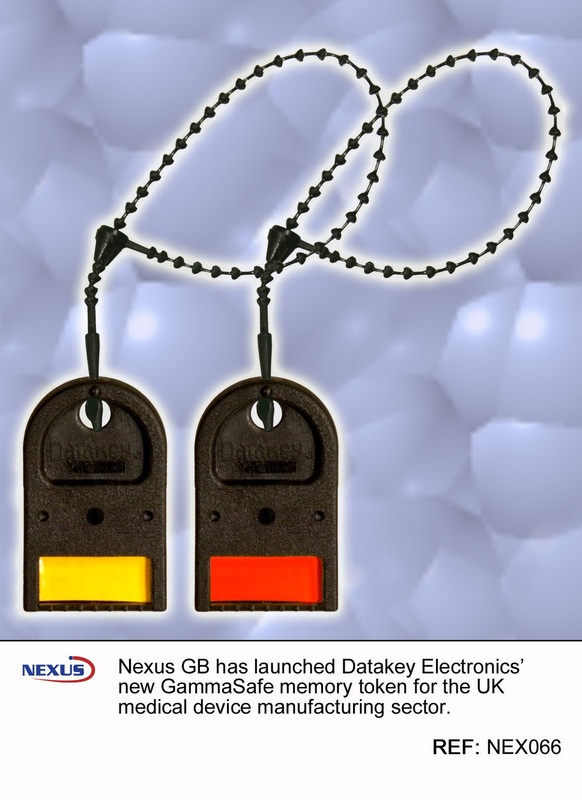 Nexus GB has launched Datakey Electronics’ new GammaSafe memory token for the UK medical device manufacturing sector. The token is a non-volatile, reprogrammable, portable memory device that survives gamma sterilization with no loss of data. The GammaSafe system also allows medical device manufacturers to easily add anti-counterfeit and limit-use capabilities to disposable attachments that are sterilized using gamma radiation. The GammaSafe memory token contains four kilobits of non-volatile, re-writable memory. This is accessed using an SPI bus and is functionally similar to an SPI EEPROM. But unlike actual EEPROM devices, which experience data loss and even device failure when exposed to significant doses of gamma radiation, GammaSafe memory tokens have been proven to withstand up to 45kGy (4.5Mrad) of gamma radiation with no data loss. Olympus has announced the release of the BX63 microscope system, the top-of-the-range model of the powerful BX3 portfolio. BX3 microscope systems are built by your needs, with a modular, customisable design that makes them flexible enough to be adjusted to different experimental requirements, while providing inherent future-proof adaptability. The BX63 also incorporates several cutting-edge, fully motorised features including a programmable touch screen and a detachable remote control. These characteristics maximise accuracy and stability, as well as allowing the BX63 to be modified in order to suit the workflow of each individual user. This ethos extends through to the accompanying cellSens software, which can be personalised depending on user preferences to maximise efficiency and ease-of-use. Evotec AG today announced the establishment of a research collaboration with Harvard University and the Howard Hughes Medical Institute (HHMI) aimed at discovering and developing new treatments in the field of diabetes. physiological mechanisms and targets that regulate beta cell replication. available small molecule therapies that trigger or support beta cell replication. In a move to improve efficiency by reducing paper in their respective operations, Forest Laboratories and the Allergy Asthma Research Institute, have joined SAFE-BioPharma Association. They now have access to the SAFE-BioPharma digital identity and signature standard, used throughout the biopharmaceutical industry to verify and manage digital identities involved in electronic transactions and to apply digital signatures to electronic documents. Forest Laboratories has franchises in the central nervous system and cardiovascular therapeutic areas. The Allergy Asthma Research Institute, based in Waco, is the premier center for allergies, asthma, and respiratory disorders in central Texas. Participation in the SAFE-BioPharma standard provides access to SAFE-BioPharma interoperable digital identity credentials, a form of software installed on a computer, cell phone or other device, which establishes a close link with the user’s proven identity and allows for the application of legally binding, digital signatures to electronic documents. SAFE-BioPharma digital identity credentials are trusted within US federal agencies and in other industries. SAFE-BioPharma digital signatures are recognized by regulatory agencies throughout the US and Europe. “Forest Laboratories and the Allergy Asthma Research Institute are streamlining their systems by shifting to interoperable digital identities and digital signatures. We welcome them to the growing SAFE-BioPharma cyber-community,” said Mollie Shields-Uehling, president and CEO, SAFE-BioPharma Association. BioTek Instruments Inc has announced that Marcus Stolarski has joined the company as product specialist. Marcus is responsible for supporting BioTek’s distribution network and customers in Brazil. Prior to joining the company, Marcus worked for Brazilian distributor Biosystems, and received a degree in biological sciences from the Federal University of Parana. 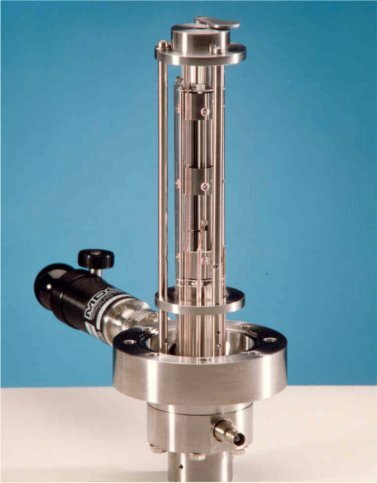 Hiden Analytical now offers an extended range of quadrupole residual gas analysers for diverse vacuum applications through the pressure range from millibar through to extreme high vacuum (XHV). 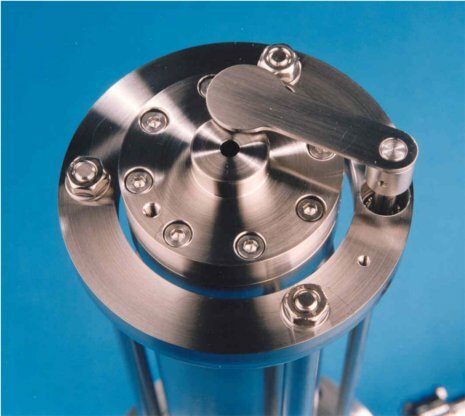 Hiden's regular systems are supplemented by a custom-engineering design facility for experiment-specific requirements including in-vacuum cooling and heating, probe insertion distance and remote in-vacuum mounting. Typical mass ranges of 1:50amu to 1:300amu accommodate most gaseous and vapour species, with alternative mass ranges to 1000amu offered for specialised applications. Analogue and pulse ion counting detectors are selectable to optimise performance for widest dynamic range of 10 decades, fastest measurement rate to 500 samples per second and highest sensitivity to 5x10E-16 millibar. The single-stage mass filters are used for many general applications, with the 3F-series triple-stage mass filter being used for the most demanding applications requiring maximum performance in terms of both mass resolution and abundance sensitivity. All operating parameters are software integrated giving full control of mass resolution, ionisation current and ionisation energies, with the soft ionisation feature being used for simplification of complex molecular fragmentation spectra. 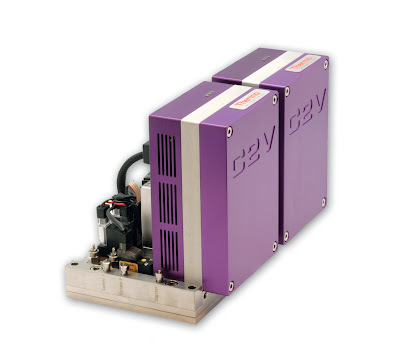 Ion source options are configured for general analysis, for molecular beam applications or for minimal degas rates for UHV/XHV applications. TxCell SA, a biotechnology company developing cell-based immuno-therapies for the treatment of severe chronic inflammatory diseases with high medical need, today announced the appointment of Dr François Meyer as its chief executive officer. “I have had the opportunity for an in-depth assessment of the company’s technology platform and I fully appreciate its unique potential,” said François Meyer. “Most importantly, the first clinical data observed in the PhI/II study in refractory Crohn’s disease patients, a very challenging patient population, is very appealing. The company is now entering the most exciting phase of its development and that is to confirm these initial findings with a controlled PhIIb study. “In light of the recent breakthrough of the cell therapy business in the oncology area, TxCell has the potential to lead the way in a new wave of treatments for severe chronic inflammatory diseases, an area, where the clinical need remains high. I am looking forward to working with the team and leading the company to achieving its goals and bringing the benefit of this new potential treatment to patients,” he said. 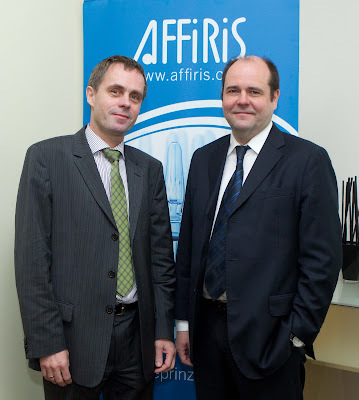 Dr François Meyer, PhD, has more than 25 years of pharmaceutical and biotechnology experience. During the early part of his career, he held various executive positions in R&D at Ciba-Geigy Pharma, where he headed the Molecular Genetics department in the newly formed Biotechnology division and at Sandoz Pharma, where he led the Gene and Cell Therapy business. After joining Rhone Poulenc Rorer in 1996, where he first headed R&D at Gencell, a biotechnology division of Rhone Poulenc Rorer, he was promoted to head of Global Research in 1998 and became head of R&D at Aventis Pharma, France after the merger with Hoechst in 2000. Lately he was CEO of Centelion until 2006, a biopharmaceutical affiliate company of Aventis Pharma. He has been member of the board of directors of several privately owned biopharmaceutical companies in the US and in Europe and is currently member of the supervisory board of Amsterdam Molecular Therapeutics (NL). He graduated from the Swiss Federal Institute of Technology (ETHZ), in Zurich. He received his PhD from the Institute for Molecular Biology at the University of Zurich. Pioneering brain imaging techniques are being developed by University of Aberdeen scientists to find out more about patients in a coma. The new Aberdeen Coma Science Group - the first of its kind in Scotland - will develop groundbreaking medical imaging methods for understanding the brain function of patients in a coma as well as those in a persistent vegetative state* and sufferers of ‘locked in’ syndrome*. Using a scanning technique called functional MRI - fMRI - the research will provide greater insights into the brain and whether a patient is actually aware. It will also help guide treatment and provide information for clinicians and relatives about the possible prognosis of the patient. Crucial scientific research is at risk from low quality, commercially available antibodies, according to Nicholas Hutchings, CEO of Everest Biotech. Dr Hutchings is frustrated at the low opinion scientists have of antibody suppliers because their experiments are being written off as a result of purchasing antibodies that significantly vary in quality. "Admittedly, there are a lot of sub-standard commercial antibodies out there, and it’s easy to see why some scientists don’t have much faith in them. But, it’s impossible for us manufacturers to validate antibodies in all the applications, systems and species that users need — especially when the target protein is quite novel,” said Dr Hutchings. The Boxer brand of autoclaves returns to the market through the UK’s specialists laboratory equipment supplies company Lab3 Ltd. In just 12 months Lab3 has re-engineered this established brand, keeping many of the salient features that set it apart from others. Later this month, Lab3 roll out the first in a new range of free-standing autoclaves that will include Eco models designed to reduce electricity and water usage and a Traditional range where the emphasis is faster cycle time. Both ranges are covered by a superb three year warranty. ProteoNic BV, the protein production experts, and Oxford Expression Technologies Ltd (OET), a provider of baculovirus-based protein expression products and services, have joined forces in the field of recombinant protein production technology with the aim of jointly offering a superior platform and services. Several projects combining ProteoNic’s UNic translation enhancement elements with OET’s flash BAC system have been initiated. Both companies will be attending the BIO Europe Spring in Milan coming March 14 - 16 where OET will be presenting. Kimble Chase, the largest manufacturer of laboratory glassware products worldwide, has added more than one hundred vials, septa, and closures to its scientific and packaging vial portfolio. Kimble Chase offers the most comprehensive product portfolio available for the Life Science and Chemistry market. New items include chromatography and sample storage vials in various styles (flat/conical bottom, threaded, etc). Other useful features include attached closures and printed volume measurement lines for high recovery and security. New closures, with multiple cap and liner combinations, are available in a variety of materials with a wide range of chemical/temperature resistance properties. LABVANTAGE Solutions Inc today announced that a premier centre of excellence in healthcare, biomedical research, and medical education (the Medical Center) has signed a major vendor agreement with LABVANTAGE. This agreement is valued at over one million dollars, confirming the Medical Center's commitment to achieving a greater level of efficiency for its mission-critical operations. The Medical Center consists of a school of medicine, a National Cancer Institute-designated cancer center (Comprehensive Cancer Center), a research centre, and three hospital facilities. "We are excited about this opportunity of working with the Medial Center to combine our laboratory informatics expertise with their critical industry insights," states Jeff Ferguson, Chief Executive Officer at LABVANTAGE. Critical Pharmaceuticals today announces the results of a long-term preclinical study that confirms the excellent local tolerability of its unique and proprietary CriticalSorb nasal drug delivery technology. The biotechnology company is now preparing to take the technology forward into a phase I clinical trial. CriticalSorb is already used in a number of marketed drugs for intravenous and oral administration and the results of this study complete the toxicology package for the nasal route of administration. CriticalSorb is a best in class absorption promoter that enables the nasal delivery of biological and challenging small molecule drugs. Biological drugs represent a $90 billion market, and yet nearly all need to be administered by frequent injection. CriticalSorb has the potential to transform the delivery of biological drugs by enabling non-invasive delivery that would be strongly preferred by patients. Fab Lab, Manchester, UK, hi-tech fabrication facility from The Manufacturing Institute, where anyone with an idea can make almost anything they want, has helped TrusTECH, the NHS organisation that is part of the NHS Innovation Hub network, to bring a new product for use in cataract surgery from prototype stage to market. Mr Bruno Zuberbuhler, Consultant Cataract and Refractive Surgeon at Manchester Royal Eye Hospital had been focusing on cataract surgery for the past six years, and in particular, on the use of toric lenses. After a year in Manchester, he had an innovative idea for cataract surgery, but needed a prototype making. TrusTech work with clinicians within the NHS, helping to take medical-orientated concepts through to commercial product. When contacted by a clinician, they validate the clinical need, look at the intellectual property landscape, undertake market research to see whether there are similar products on the market and assess whether a product has commercial value. Up to now, monofocal lenses have been used, which when implanted in the eye provide either good distance vision or good near vision. The newer toric lenses on the market that can compensate for corneal astigmatism. But they have to be placed on the exact same axis as the astigmatism is and therefore have to be rotated. 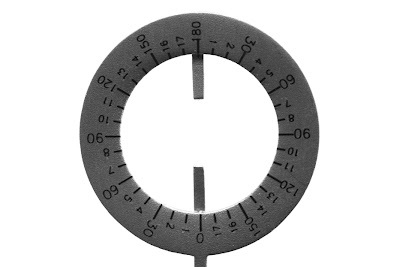 They developed a single-use instrument that helps align the lenses along the correct axes. Utilising FabLab, TrusTech helped bring the initial concept toric marker idea to a first prototype. By looking at Bruno’s initial design and then at competing products, Trustech funded some prototype work and evaluation at Fab Lab, following it up with a patent and registered design application. TrusTech were able to use FabLab’s digital design facility to quickly take the product from a 3D design to a 3D model printed on FabLab’s 3D printer. The Fab Lab is packed with computer controlled fabrication equipment such as 3D printers, laser cutters, milling machines, sewing and embroidery machines and all the variety of electronic components and materials needed to make prototype products. Malosa Medical were identified by TrusTech as a suitable commercial partner, and were very interested in the project and took an agreement whereby they sell the Toric Marker on behalf of the Manchester Royal Eye Hospital. Prototypes were tried and tested in theatre, and TrusTech acted as knowledgeable intermediary between design and final manufacture for market. Warwick Analytical Services has published a technical article that describes a new standard ICP methodology that has been developed to determine trace heavy metals in pharmaceutical products. Metal catalysts and reagents used in the synthesis of pharmaceutical products can potentially result in trace levels of metals in the final product that can be toxic to human life. The new article describes how the traditional US Pharmacopeia standard method <231> for determining heavy metals in pharma products is increasingly being viewed as insensitive, time-consuming, labour intensive and not providing an adequate recovery of the elements being tested. The author discusses the new ICP methodology for heavy metals testing and describes how it will eliminate the specificity issue of the traditional method, provide greater sensitivity down to part-per-billion (ppb) levels and will evaluate drug samples for an additional 21 elements. Thermo Fisher Scientific Inc today introduced the ToxInsight DILI Assay Cartridge, a groundbreaking new tool for assessing the liver toxicity risk of chemical compounds. It will help pharmaceutical companies improve their productivity by better assessing liver toxicity early in the drug development process, specifically reducing the risk of drug-induced liver injury (DILI) – the primary reason for post-market drug withdrawal. Designed to be used with the Thermo Scientific ToxInsight IVT image cytometry platform, the ToxInsight DILI Assay Cartridge identifies drug induced hepatotoxicity by simultaneous detection of multiplexed toxicity biomarkers in single cells. It includes all the reagents, assay protocols, analysis and data reporting capabilities to profile compounds for hepatotoxicity with high sensitivity and specificity. The cartridge has been extensively validated with a known hepatotoxic compound 'truth-set' on a range of hepatic cell-lines, including rat and human primary hepatocytes. Featuring new keynote topics and with a clear focus on four core areas, BIOTECHNICA (11 – 13 October 2011) is continuing to sharpen its profile. The trade fair will be complemented by international conferences, special shows and workshops. The broad program of events is designed to network science, industry, the service sector and politics. A wide range of high quality 96-well deep well plates are available from Porvair Sciences Ltd. optimized for applications in cell biology, molecular biology, drug discovery, combinatorial chemistry, screening and genomics. Manufactured under class 10,000 conditions from ultra-pure grade polypropylene, Porvair 96-well deep well plates contain no contaminants that may leach out and affect stored sample or bacterial or cell growth. 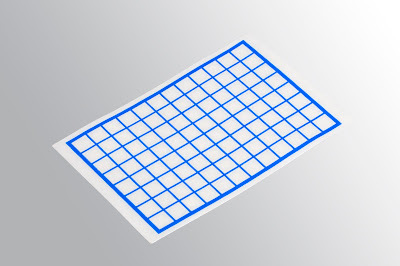 For sensitive biological applications - Porvair offers a selection of 96-well deep well plates that are available certified as RNase/DNase free. Available in a choice of well shapes and volumes - Porvair 96-well deep well plates are precisely manufactured to SBS/ANSI dimensions ensuring complete compatibility with microplate washers and automated equipment. 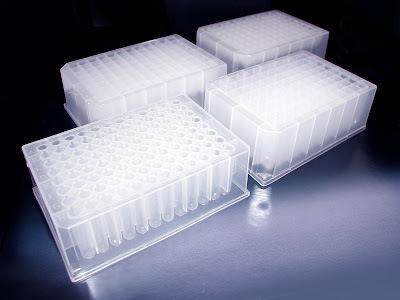 For general work and sample storage, round 96-well deep well plates offering a working volume of 1ml, provide an affordable, easy to use solution. Where operational flexibility, solvent resistance and automation compatibility are important Porvair's range of precisely engineered polypropylene square 96-well deep well plates (350 μl, 1ml and 2ml). Porvair's popular 1ml round 96-well deep well plates are also available in red, blue and black polypropylene. The coloured 1ml round deep well plates provide a simple, yet effective way of visually differentiating stored samples by person, project, date etc. Graham Partners has acquired SP Industries, a designer and manufacturer of medical equipment and components used in pharmaceutical development and production. SP's two primary product categories include laboratory and pharmaceutical research and production equipment as well as laboratory glassware and precision glass components. The company's principal end markets include the pharmaceutical, educational, industrial, and OEM markets. SP manufactures products that play a vital role in the new drug development process, which is a critical growth engine of the pharmaceutical industry. Moreover, as advanced medical care becomes more accessible around the globe and as the world's population ages, the rate of new drug development is projected to increase. The current industry conversion toward biologic and therapeutic protein drugs also aides SP, as virtually all therapeutic proteins depend on freeze drying, an area in which SP is a market leader. LGC Standards has announced its range of reference nanomaterials has been enhanced by the addition of the world’s first certified reference material based on industry-sourced nanoparticles. Developed by the European Commission’s Joint Research Centre, the new reference material will help ensure the comparability of nanoparticle measurements worldwide, thereby facilitating trade and ensuring compliance with legislation. While nanotechnology offers significant economic and social benefits, the increasing use of nanomaterials in consumer products, food, agriculture and medicinal applications has raised concerns about their safety. High-quality measurements are the basis for reliable safety assessments, process improvement, quality control and the development of new applications of nanotechnology. Fluorofil filter cartridges from Porvair Filtration Group are manufactured using a highly hydrophobic Gore ePTFE membrane. The enhanced ePTFE membrane offers exceptionally high gas flow rates at low pressure differentials. When combined with quality all-polypropylene components and high integrity manufacturing techniques, the Fluorofil filter cartridge is ideally suited to the most demanding process conditions. 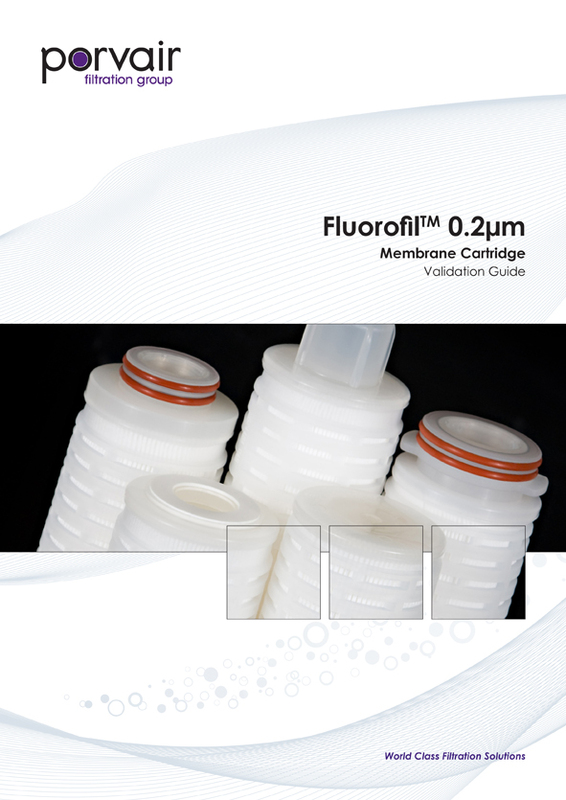 A new 24-page Validation Guide is available illustrating why Fluorofil ePTFE membrane cartridges are the gold standard for the most demanding filtration applications. Membrane filters play a critical role in providing sterile air and gases in pharmaceutical, biotechnology and containment applications. The filters must be proficient in removing airborne viruses (bacteriophage) and spores from large volumes of moist air/gas streams over prolonged periods. The new 2011 validation guide describes the results of testing Fluorofil cartridges under the approved protocol ASTM F838-05, a rigorous test for evaluating the bacterial retention characteristics of membrane filters used to sterilise liquids. The test data confirmed that standard production Fluorofil filter cartridges will retain very high challenge levels of the industry standard test organism Brevundimonas diminuta. To demonstrate sterilisation capabilities in a dry gas process, the Fluorofil filters were challenged with aerosolised phage, as demonstrated using MS-2 coliphage and aerosols of non-vegetative spores, as demonstrated using spores of Bacillus atrophaeus. Reinnervate, the life sciences company driving the adoption of routine 3D cell culture, is delighted to announce the appointments of Richard Rowling as Commercial Director and Barry Lynch as Marketing Manager to lead the sales and marketing operations supporting alvetex, the Company’s breakthrough 3D cell culture technology. Dr Györgyi Talas also joins reinnervate as Product Development Manager. The three new appointments represent an important milestone for reinnervate as it continues to expand its commercial and product development teams following the initial launch of alvetex in a 12-well plate format late last year and in preparation for further product launches scheduled throughout 2011. Abcodia, a company engaged in the validation and discovery of molecular biomarkers for disease diagnosis and screening, was formally launched today. At the helm of the company is a team of Cambridge biotech entrepreneurs who are now seeking new collaborative partners. 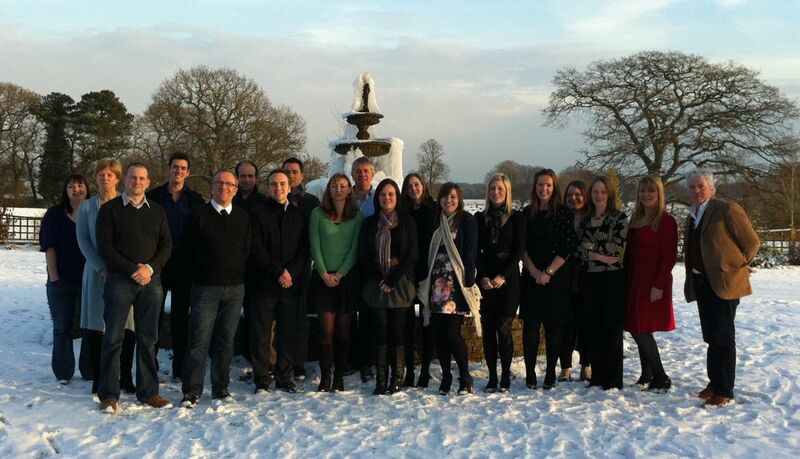 Abcodia has been granted rights to commercialise IP from one of the largest biobanks in the UK. The biobank has been created by lead clinical scientists at University College London (UCL), one of the world’s leading research-led universities. The company aims to make groundbreaking discoveries and improve the diagnosis of many common life-threatening and debilitating diseases, including the major cancers - colon, lung, pancreatic - as well as other conditions such as diabetes, osteoporosis and rheumatoid arthritis. SEPMAG, the manufacturer of biomagnetic separation systems for the in vitro diagnostics sector, will mark its established entry and plans for further penetration of the Chinese IVD market with a presentation delivered at the State sponsored Clinical Laboratory Provider & Blood Transfusion Equipment Expo - taking place on March 11th in the Xi¡¯an Greenland Pico International Convention & Exhibition Centre, Shanxi province, China. The company’s technology will be jointly presented by Apis Biotechnology and Sepmag itself, at the conference organised by the Chinese Association for Clinical Laboratory Providers (CACLP), and attended by high level life science audiences from across China. The event is sponsored by the National Association of Health Industry and Enterprise Management and the Chinese Association for Clinical Laboratory Providers. Moreover, the expo is supported by the Chinese Technical Committee of Clinical Laboratory Testing, together with the In Vitro Diagnostics Standardization Administration of China. Gyros AB, a leader in utilization of microfluidic technologies to miniaturize and automate immunoassays, announced today that Cygnus Technologies Inc. has launched a third immunoassay kit specifically designed for compatibility with the company’s Gyrolab xP workstation. The new kit enables scientists to test for the presence of Protein A, an impurity that can occur in any antibody-based therapeutic that has been purified using affinity chromatography. Two Host Cell Proteins (HCP) Kits are already available for detecting impurities from E.coli or CHO cells during bioprocess development and production. Scientists optimizing purification processes and working in process control, routine QC and product release testing can now accelerate assay development timelines and maximize productivity through the convenience of three, ready-to-use kits and the automated immunoassay platform from Gyros. RainDance Technologies Inc and Ambry Genetics today announced a new collaboration focused on the development and commercialization of a comprehensive drug absorption, distribution, metabolism, and excretion (ADME) genetic screening panel for use on next-generation sequencing (NGS) systems. The announcement was made in conjunction with the Society of Toxicology’s 50th Annual Meeting in Washington, DC. Financial terms were not disclosed. applications ranging from airport security and consumer product testing to supply chain integrity and industrial hygiene. The company continues to build on its strategy of translating analytical technologies proven in the lab into handheld instruments for use in the field. "Increasing global trade and travel, interconnected supply chains and increasing environmental and consumer product safety awareness have created a demand for technology that is mobile, easily deployed and accurate," said Greg Herrema, senior vice president and president, Analytical Instruments, Thermo Fisher Scientific. "Our handheld analytical instruments align perfectly with our company's mission. We enable customers to make the world healthier, cleaner and safer through our depth of capabilities in handheld technology, which impact everything from quality control in pharmaceuticals to air and water quality testing and the safety of the traveling public." Optibrium, a provider of software solutions for drug discovery, will be officially launching the next generation of StarDrop featuring the Nova module at the American Chemical Society (ACS) National Exposition, 27-31 March, 2011, Anaheim, CA. 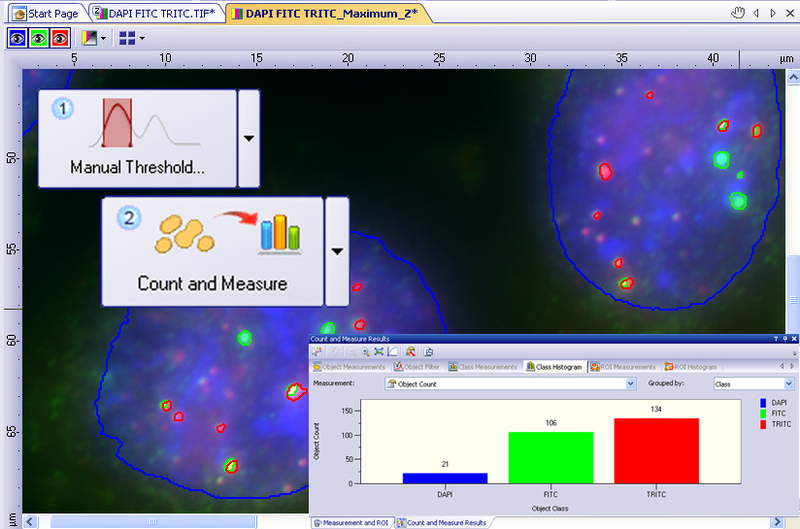 This intuitive platform helps to guide scientists' decisions to quickly identify compounds with a high chance of success for their drug discovery project. Nova is a completely new module within StarDrop 5, helping pharmaceutical and biotech companies to search for high quality drugs by generating new chemistry ideas, prioritised against specific property profile requirements when making critical decisions in drug discovery. Fast identification of high quality compounds with the best balance of multiple property requirements is a major challenge in making effective drug discovery decisions. Complex, often conflicting requirements, combined with uncertain data, make it difficult to decide with confidence which lines of enquiry to pursue and which compounds to prioritise. So, it's no surprise that most research in drug discovery results in expensive failure. Today, the German Federal Ministry of Economics and Technology (BMWi) announced the 12 winners of the Trusted Cloud research programme at the 2011 CeBIT in Hannover. Trusted Cloud fosters the development of secure cloud computing services. A total of 116 proposals were submitted to the 100 Mio Euro program. GeneCloud, a proposal developed by Transinsight, TU Dresden, Antibodies Online, RESprotect, and Qualitype was selected as one of the 12 winners. The goal of GeneCloud is the development of cloud computing services for the life sciences. Where next for medical device polymers? The demand for medical devices is growing worldwide due to the ageing population in Western nations and improvements in healthcare services in developing regions. One area for expansion is more user-friendly medical equipment for home use, to minimise hospitalisation of the older population. Innovation is essential to provide the optimum patient care and materials are a key part of any new product. AMI is pleased to announce the programme for the Medical Device Polymers 2011 conference, which takes place 7-9 June 2011 at the Maritim Hotel, Cologne, Germany. This event provides a forum to debate the latest developments in medical devices, materials and manufacturing. The conference kicks off with an overview of current demands and issues in orthopaedics from the leading company, Stryker. These are very high specification applications using high performance plastics like PEEK, as supplied by Invibio. Oxford Medical Diagnostics (OMD), the UK developer of breath based, medical diagnostic technology for the rapid, non-invasive, accurate and low-cost diagnosis and monitoring of metabolic and infectious diseases; and V&F Analyse- und Messtechnik GmbH (V&F), a provider of analytical instruments to a wide range of industries, today announced a strategic alliance focusing on the area of mass spectrometry. Under the terms of the new agreement with V&F, Oxford Medical Diagnostics will offer and support V&F’s high-performance mass spectrometry analyzers in the UK and Ireland. Also, OMD will establish a contract batch sample analysis service in its Oxford laboratories to provide analytical services to third party customers using V&F’s mass spectrometers. Olympus has announced the release of its Count & Measure Solution module for the cellSens Dimension software suite. The new module makes it simple to design and automate image analysis protocols by providing advanced object detection and structure differentiation. This maximises accuracy and reproducibility while minimising the time users must devote to manual image processing. The system can be easily configured to recognise objects and structures based on user specifications by employing a range of threshold-based methods, thereby defining rules with which to process a batch of images. The system is also perfectly suited to performing complex analyses such as those requiring multiple measurements per image. Domainex Ltd , a biotechnology company providing drug discovery services to support both its own and customer research programmes, has announced plans to significantly expand its medicinal chemistry and biology capabilities in 2011. The expansion will involve relocation to larger laboratories in Cambridge and investment in new technologies that will enhance its current service offering. This will allow Domainex to provide even better support to its growing client base and enable it to expand work on the Company’s own discovery-phase oncology drug pipeline. Scientists have identified a single mutated gene that causes Hajdu-Cheney syndrome, a disorder of the bones causing progressive bone loss and osteoporosis (fragile bones). The study, published in Nature Genetics today, gives vital insight into possible causes of osteoporosis and highlights the gene as a potential target for treating the condition. There are only 50 reported cases of Hajdu-Cheney syndrome (HCS), of which severe osteoporosis is a main feature. Osteoporosis is a condition leading to reduction in bone strength and susceptibility to fractures. It is the most common bone disease, with one in two women and one in five men over 50 in the UK fracturing a bone because of the condition. This represents a major public health problem yet, until this study, possible genetic causes of osteoporosis were poorly understood. The team of scientists, led by the National Institute for Health Research (NIHR) comprehensive Biomedical Research Centre (BRC) at King’s College London and Guy’s and St Thomas’, set out to investigate the genetic cause of HCS in order to detect clues to the role genes might play in triggering osteoporosis. Using a cutting edge technique for identifying disease-causing genes, known as exome sequencing, the team were able to identify NOTCH2 as the causative gene using DNA from just three unrelated HCS patients. The team then confirmed their findings in an additional 12 affected families, 11 of whom had an alteration in the identical portion of the same gene. The study was part-funded by the British Heart Foundation, and Cure Kids New Zealand. Biomedical Research Centre at Guy's and St Thomas' NHS Foundation Trust and King's College London.